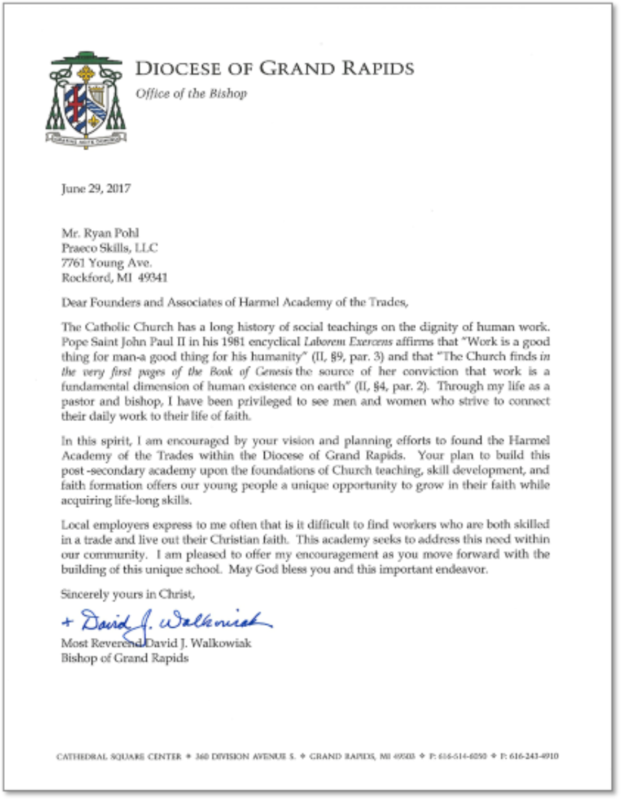 … I am encouraged by your vision and planning efforts to found the Harmel Academy of the Trades within the Diocese of Grand Rapids. Your plan to build this post-secondary academy upon the foundations of Church teaching, skill development, and faith formation offers our young people a unique opportunity to grow in their faith while acquiring life-long skills. Work is for man, and not man for work. 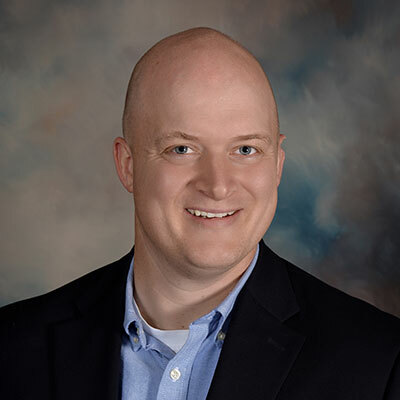 Ryan is a Journeyman CNC Machinist & Programmer, a Certified Educator and Founder of Praeco Skills, LLC. He has been training people in the trades for 15 years and is a devoted advocate for the trades. He is a member of Our Lady of Consolation Parish, Rockford. J.T. 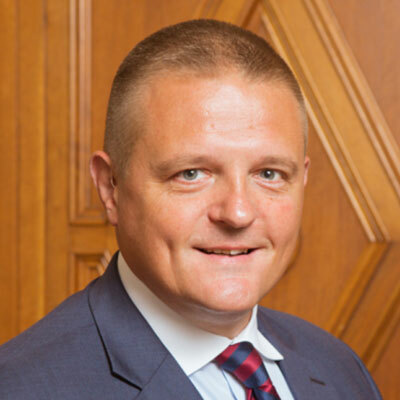 Weis is Chief Executive Office and owner of Abcor Industries in Holland, Michigan. Prior to that, he was Group President in Berkshire Hathaway, responsible for $400M of revenue across four global operating companies. J.T. is a member of the Sacred Heart of Jesus Parish, Grand Rapids. 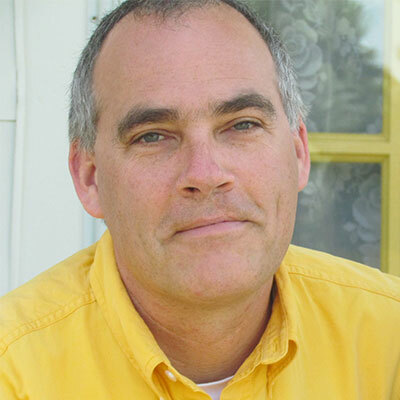 Brian is General Manager of Grand River Builders, and Principal Consultant of Historic Restoration Consulting Group. He is an experienced trainer and advocate for the trades. Brian is a member of Sacred Heart of Jesus Parish, Grand Rapids. Léon Harmel (1829-1915) was a successful French Catholic industrialist who led a movement to recognize the dignity and rights of industrial workers. He transformed his factory into a “Christian Corporation” by providing safe working conditions, a just wage, worker associations, health care, and retirement benefits during a time of extreme worker exploitation throughout industrial Europe. His work was praised by Pope Leo XIII, with whom he became a close associate and friend. Harmel’s work directly inspired and influenced Leo XIII’s great encyclical Rerum Novarum. Harmel is the father of a truly practiced Catholic Social Teaching in modern times, and in turn inspires us to serve and help form Catholic workers. It is necessary that Harmels be multiplied. Harmels must be multiplied!